"Checked Everything Before Advising New Things"
"Diagnosis Of Problem And Recommending Remedial Work To Prevent Future Problems"
"He Was Knowledgeable And Helpful." "Very Polite, Worked Clean And Was Very Upfront About Pricing. 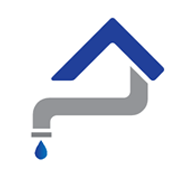 Alec Did S You’D Job For Us"
"Informed Me If The Problem And Very Quick"
Need a Plumber, Handyperson, Drainage Engineer, Heating Engineer, Electrician, Painter & Decorator or Plasterer in London?